Urban Air Park, a US based trampoline and adventure park provider has plans to open a location in Oklahoma City which will feature an indoor skydiving facility. The location will feature many attractions such as dodgeball, climbing walls, obstacle course, an indoor playground, and more. 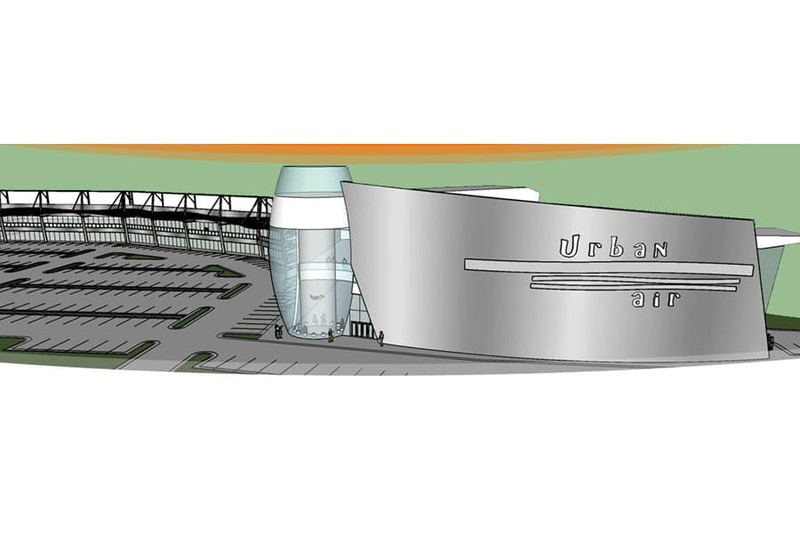 The announcement comes with some renderings showing the wind tunnel as the centerpiece of the outside corner of the facility. Large glass windows face out allowing passing spectators to watch the flyers. 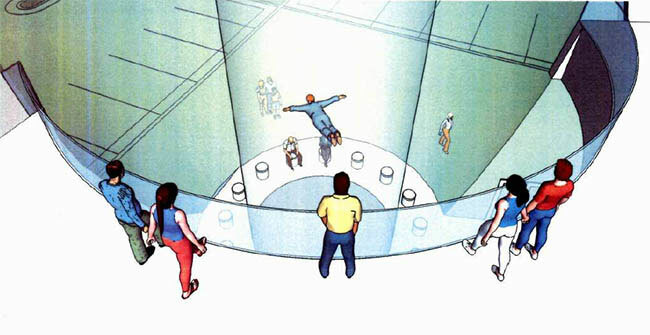 The tunnel was announced via the Urban Air Trampoline website.